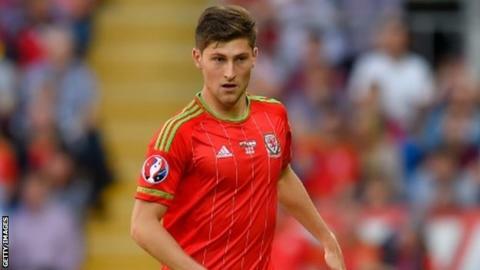 Tottenham defender Ben Davies says Wales are aiming to avoid any last-game drama and seal their Euro 2016 spot in Bosnia-Herzegovina on Saturday. Wales need one point to reach next summer's European Championship finals in France. They face Bosnia away in Zenica on 10 October and host Andorra at Cardiff City Stadium the following Tuesday. "We don't want to rely on one more game, it would be nice to get it done as soon as possible," Davies said. Chris Coleman's side are unbeaten at the top of Group B as they bid to reach the finals of a major tournament for the first time since the 1958 World Cup. Former Swansea left-back Davies is confident the team can get a result against a side which they held to a goalless draw at Cardiff City Stadium in October 2014. "It's the last hurdle now and we've got to put the performance in to get us over," Davies added. "We know as players how big it is and the effort we've put in to get this far. Now it's just about crossing the line. "We are confident and we've put good performances in throughout the group to put us in this situation where we can feel like that."